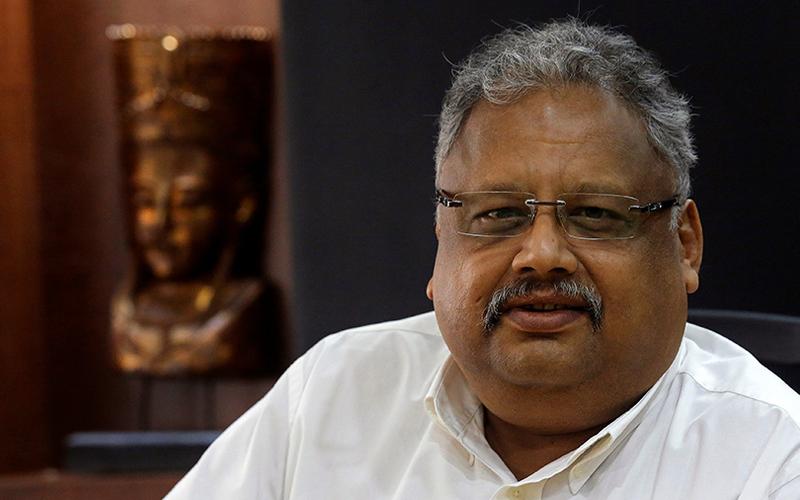 Rakesh Jhunjhunwala, one of India’s top stock market investors and founder of stock trading firm Rare Enterprises, has invested Rs 180 crore ($27 million) in Mumbai-based mobile games developer Nazara Technologies Pvt. Ltd for an undisclosed stake, a top company executive told VCCircle. “Having a marquee investor like Jhunjhunwala on board gives us great confidence. It is also a validation of what Nazara has been building. He is coming in with a long-term perspective of five to seven years,” Nitish Mittersain said by phone. Mittersain, who is also managing director at Nazara, declined to divulge details of the transaction. The transaction comes after IIFL Special Opportunities Fund bought a minority stake in the mobile game developer for $51 million (Rs 330 crore) earlier this month. The fund mainly invests in companies before or during their initial public offerings. “We have raised a total of Rs 540 crore by way of such placements in the last one month,” Mittersain said. He said the overall fundraise included a mix of primary infusion and secondary share sale by some existing investors, but refused to give any details. Jhunjhunwala's investment in Nazara was first reported by The Times of India. The report also said that private equity firm WestBridge Capital, one of Nazara’s early investors, pared its stake in the firm to around 30%. The investment is one of Jhunjhunwala’s rare bets on privately held companies in the Indian startup and tech ecosystem. Jhunjhunwala said in a press note issued by Nazara that he always looks for companies that are leaders in high-growth verticals. “Nazara is a leading company in the mobile games business. Nazara has a consistent track record of delivering profits, cash flows, along with efficient use of capital and high return on investment. I see growth potential in the company,” he said. Also, the transaction comes amidst the company’s plans to list on the stock exchanges next year. While Mittersain declined to comment on the IPO, Nazara’s filings with the Registrar of Companies indicated that the listing process may be underway. On 24 November, the company’s board passed a resolution seeking approval for conversion to a public limited firm. Accordingly, the company will be renamed Nazara Technologies Ltd. In November 2016, VCCircle had first reported the gaming company’s plan to go public. Nazara would become the first Indian gaming firm to tap into the public market if its plan materialises. Media reports in September suggested that Nazara would raise Rs 1,000 crore through its IPO. The company has mandated ICICI Securities and Edelweiss Financial Services for the IPO. Nazara plans to complete the listing process by the end of March 2018 and is expecting a valuation of 30-35 times the projected profit after tax of Rs 100 crore for 2018-19. While Nazara is yet to file its financials for financial year 2016-17, data available with VCCEdge, the data research platform of News Corp VCCircle, showed that Nazara reported revenue of Rs 220 crore for 2015-16, clocking a compounded annual growth rate of 40% over the last four years. A report in The Economic Times stated that Nazara logged gross customer billings of Rs 550 crore with profit after tax at Rs 66 crore in 2016-17. It had also picked up a 26% stake in London-based mobile gaming studio Mastermind Sports Ltd, which launched CricBet, a real-time prediction game, in April 2016. As on September 2017, Nazara claimed to have 34 million downloads with over 10 million monthly active users across its network of games on the Google Play Store.